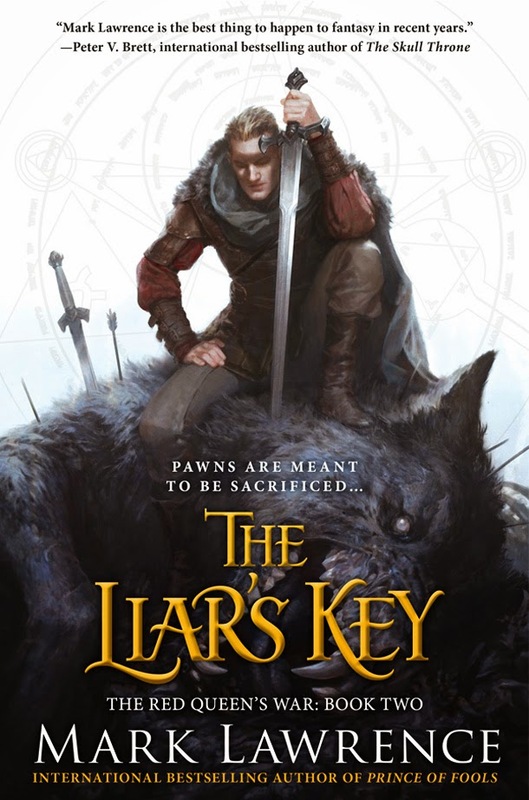 The rough draft of the cover art for The Liar's Key by Mark Lawrence has been released. After the deviating covers of the first book, Prince of Fools, both the UK and US publishers decided to have a unified art again, just like with Mark Lawrence's Broken Empire trilogy. Once again, artist Jason Chan will do the cover art of The Liar's Key, with a few variations depending on the demographics of the publisher's readers. UK readers prefer faceless characters on the covers, which is of course the opposite for the US readers. FYI: The art cover of the first book was done by Chris McGrath for US and Jason Chan for UK editions. The Liar's Key (The Red Queen's War Book 2) by Mark Lawrence will be released on June 2, 2015.